Most people living now are deficient in omega 3 fats, essential lipids that have a ton of health benefits. A high amount of omega 3 in your diet is crucial for optimal health and bodily performance. Many people take fish oil supplements thinking that they are fixing their deficiency, but they actually aren’t helping enough due to the source of the oil. The fats derived from krill have been proven to dramatically lower triglyceride levels to reduce the risk of heart disease. 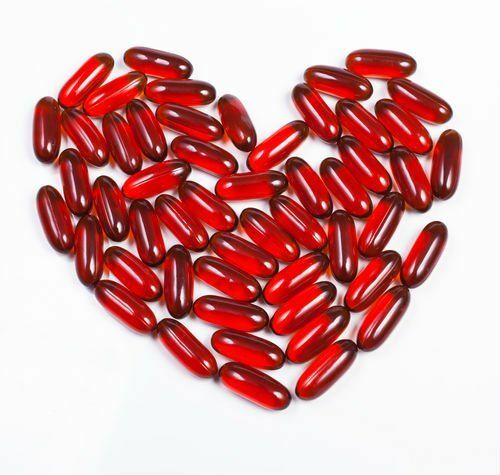 Krill oil is among the best of supplements that are a great source of omega fatty acids for optimal heart, skin, brain, and immune health. What is krill oil good for and which supplements are ACTUALLY healthy? The fatty acids found in fish and krill oil are wonders for human health. That may even be an understatement. It is important to know that the human body can’t produce omega fatty acids by itself. It is necessary to take it in through our diet and absorb it through our digestive system. We must make sure that both of those steps are in working order. Hundreds of millions of people take low-quality fish oil supplements every day expecting them to be providing us essential nutrition. Unfortunately, the type of oil used from anchovy and sardines is not nutritious or bioavailable to our bodies. On top of that, almost 90% of the supplement is excreted into the toilet bowl due to poor absorption. Fats are a macronutrient that your body needs to function properly. This is why many health experts believe that the low-fat diet trend is such a sham. If you don’t absorb enough omega-3 from your diet, you can suffer from many conditions. Problems in the brain. Researchers have determined that diets low in omega 3 consumption have high rates of depression and anxiety. They have proven that countries like Hawaii and Japan have the lowest incidences of mood problems because they eat so much local fish. Omega fatty acids make up an important component in the production of the neurotransmitter serotonin, which relaxes and focuses you. Joint Inflammation and Arthritis. Omega-3 fatty acids have anti-inflammatory properties that help relieve pressure around your joints and bones. In numerous studies, people who started taking krill oil saw 85% improvement in their arthritis. Fatty acids increase the metabolism of your cells. Lack of omega-3 in your diet can slow down your metabolism and cause weight gain. Learning disabilities. Krill oil supplements have phospholipids that absorb with omega-3 that regenerate the lipid bilayer that protects the brain. People that have low levels of essential fatty acids in their brain cells have learning problems, attention deficit, and irritability. Skin Problems. Omega 3 make up the fatty membrane of the skin, which prevents damage. If you have this layer of fat in your skin, you will be able to absorb nutrients through your skin and prevent waste from getting inside. A lot of people will wash this away this part of their skin while not replacing it with fats from the diet. Poor Immune System. Omega 3 fatty acids are essential for the natural function of the immune system. They are important components of hormones that can boost production of white blood cells and reduce inflammation causing pain. Decreased systemic inflammation through the whole body. Inflammation is the root cause of many health conditions from acne to cancer. Omega 3 fatty acids can relieve chronic inflammation at its source: deficiency of healthy fats. Improve memory and mental decline. Research shows that cultures that consume more fatty fish like Japan and Hawaii tend to have more grey matter in their brains. This part of the brain deals with memories, data collecting and emotions. Krill oil has been proven to prevent mental decline and Alzheimer’s disease. Treatment of allergies. Since omega-3 greatly assists the immune system, your body can better deal with allergies and intolerances. Hair, skin and nails benefits. DHA is a structural component of your physical beauty. It is responsible for protecting cell membranes and allowing waste to easily exit the cell. Healthy skin cell membranes allow for soft, moisturized and wrinkle-free skin. When you take regular fish oil supplements, you are supporting an act that disrupts the food chain in some marine ecosystems. Overfishing has endangered the species of many birds and predator fish. As you might know, this can destroy habitats. Evidence has proven that there is no chance of overfishing for krill. This shellfish is the largest biomass in the world—there are simply so many of these guys. If you weighed every species in the world, krill would weigh the most by far. Therefore, the ecosystems they inhabit allow them to overpopulate. We may even be doing some ecosystems a favor by reducing the amount of these creatures in nature. This is a great omega-3 supplement that I’ve seen consistent results with. Click the image for a discount! What is Krill Oil Good for? Krill oil makes it easy to get a healthy ratio of omega fatty acids in your body. Omega-3 fats help improve your body’s ability to regulate insulin levels, neurotransmitters, and messenger cells. They also assist in the regeneration process of damaged cells. Omega-6 fats are unhealthy and can actually cause inflammation that leads to disease, mood changes, blood clots, learning abilities, and healing problems. These types of fatty acids are found in vegetable seed oils like canola, soybean, corn, cottonseed, and sesame. They should be consumed in moderation. The absolute best way to do this is to take a Krill oil supplement. This supplement has 12 times the amount of omega 3 as omega 6, making it extremely beneficial to your body. Regular fish oil only has 3-6 times. On the other unhealthy hand, frrench fries can have 5-7 times more omega-6 than omega-3. That’s why it’s really important to watch your intake levels of fatty foods. This is why meat and fried food is considered unhealthy. You’ll need to eat a lot of vegetables and fish to balance the ratio again to experience the health wonders of omega-3. My favorite krill oil supplement is this one. It provides a high daily dose of omega fatty acids but doesn’t make your breath smell. I have seen obvious and consistent results with using it myself. I take one on any day that I don’t eat fish with my meals. I consume fish regularly because it has a high ratio of omega3:6 than most other foods. 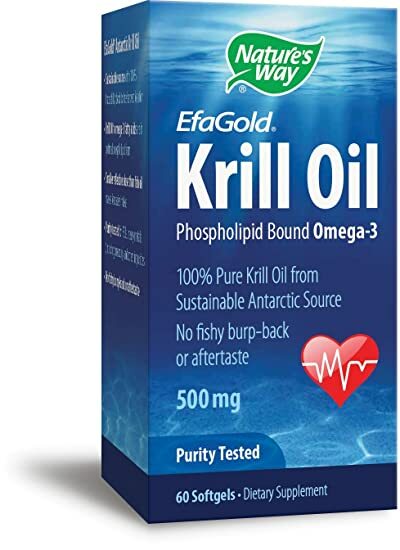 I used to eat a vegan diet, but I made an exception for krill oil because it is environmentally sustainable and not overly cruel. There aren’t any krill farms too. I think it helped my health tremendous during this time period because vegetarians have an extremely hard time getting a healthy ratio of omega fatty acids. I am always here for you, so if you have a question or something to add about what krill oil is good for, please leave me a comment! Thanks for sharing such an informative post! To be perfectly honest, I had been taking Krill Oil for a few months, but I ran out last week. I’d been on the fence about buying a new bottle, wondering if it was really worth the money. But after reading this article, I’ve decided to definitely keep taking it. Krill oil is the only omega 3 that I’ve seen consistent results from. I think it always is worth the investment! I don’t fully believe there is no comparison to krill oil. I like Omega 3 ethyl esters myself. Continue to feel well and cholesterol and triglycerides couldn’t be better. Just my opinion tho. Thanks a lot for the input! 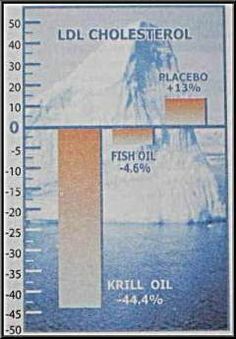 Krill oil has been the only omega 3 supplement that I’ve seen consistent results with. I’d love to help my readers feel better as well. Hello and thanks for sharing this sounds very good and I am sure that your viewers will be happy to find about important information like this. Keep up the good work.